As our Fiber-To-The-Home project continues to expand and gain traction, we’ve worked with hundreds of homeowners to help ensure their homes are ready for the fiber upgrade. Introducing, Wylee Douglas, our “Wiring Wizard”. 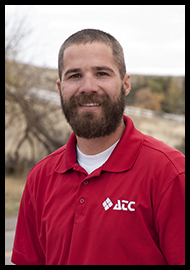 Wylee has been with ATC since 2014, and has been an instrumental “boots on the ground” technician, handling the tedious work that is required to transition from copper-fed to fiber-fed broadband. Wylee loves meeting new people (but avoids big crowds), and can be found with fountain Dr. Pepper close by. We’re thankful to have this gregarious, easy-going people-person on our ATC team.